The Entranceway: The entrance is the first thing guests will see, so make your entranceway amazing. 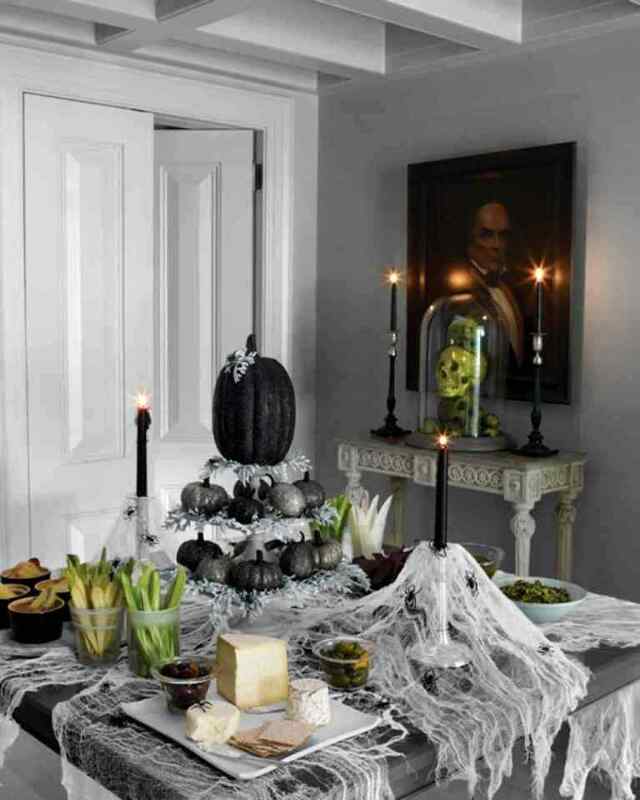 Drape the doorway with cobwebs and use a fog machine when guests arrive. 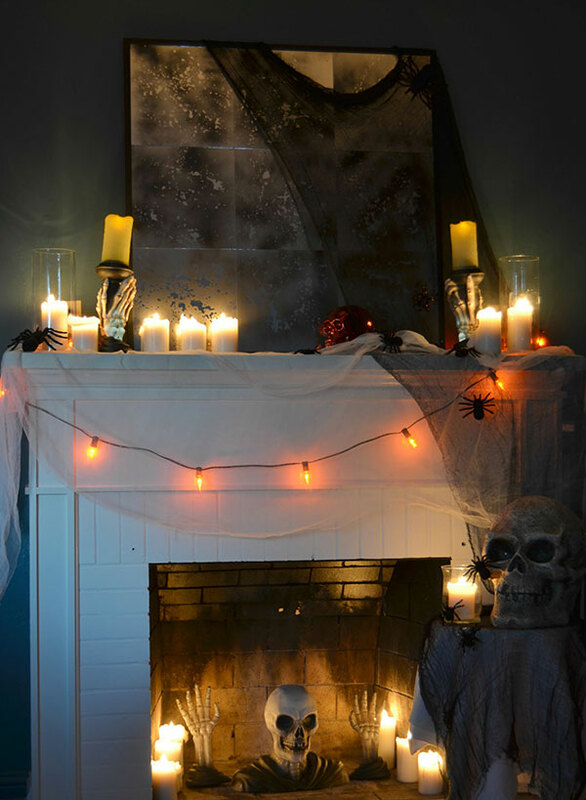 You can now even purchase fog machine scents to add funky Halloween smells to the fog! 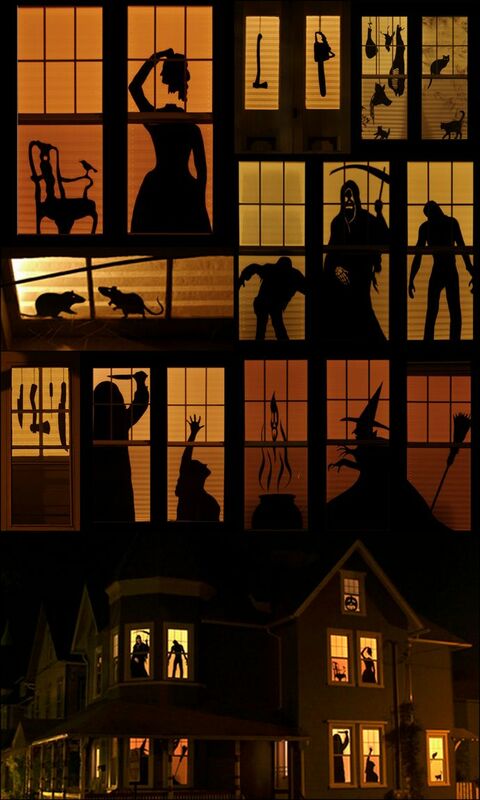 And don’t forget to have scary music playing complete with haunting sound effects. Have a strobe light on to mimic flashes of lightening, and get some thunder sound effects to go with it. An orange disco ball adds more funk to the party. Hanging Decorations: Hanging decorations are always surprising as they catch people off guard. 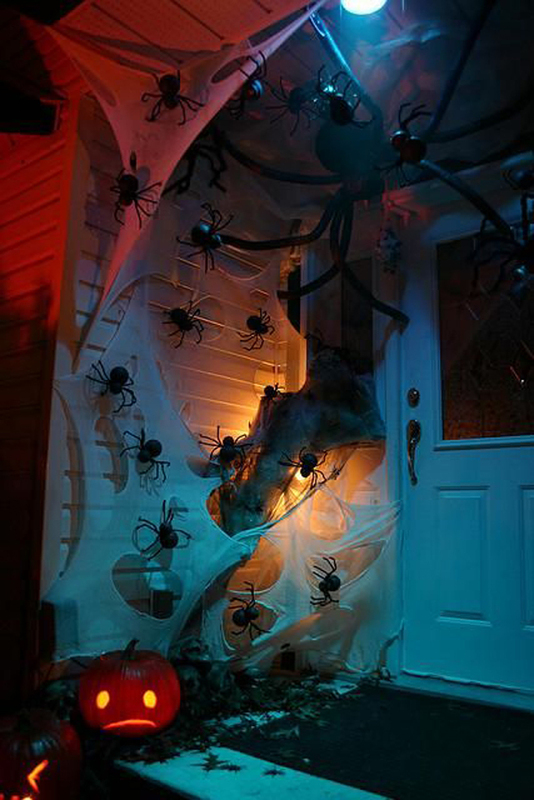 Include a hanging skeleton in a vampire’s cape, skulls on a rope, bats and flying monkeys. Flying bride and groom skeletons are also a nice touch, as are butchers’ meat hooks that hang from the ceiling. Have multiple cats (fake, not real) hanging about the house. 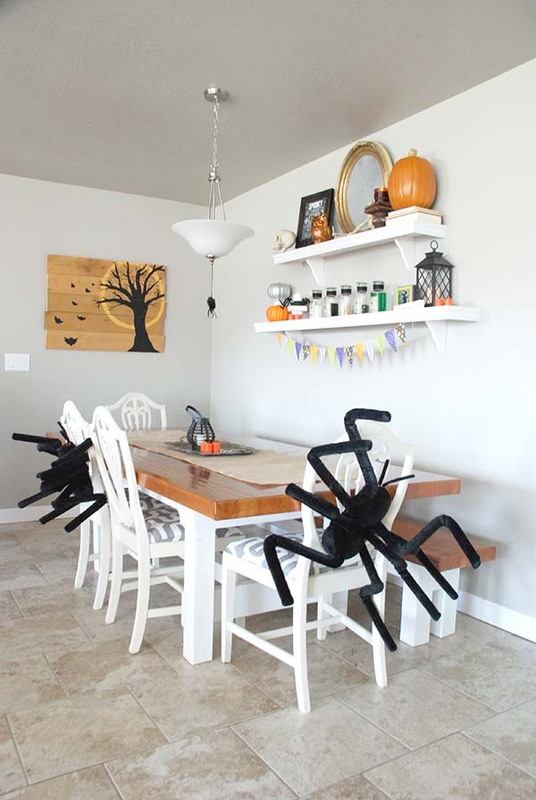 Scary vampire cats and black cats with arched backs will spook when placed in unexpected corners. 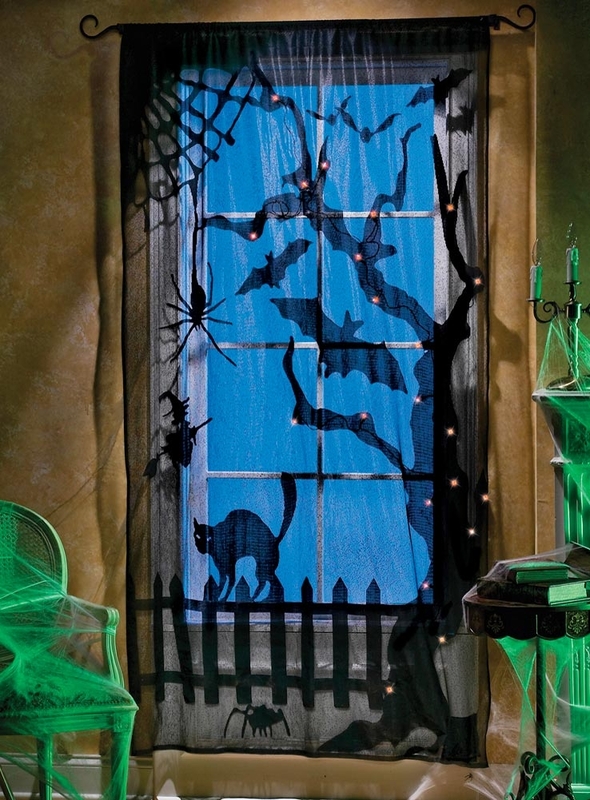 Halloween rope lights are a cool touch to add. These LED tubes contain lights that are pretty much indestructible. You can roll them out by the yard and guide guests down a path that directs them into the main party room.